The Obagi CLENZIderm M.D. System for the use of acne and acne related pigmentation. The Obagi CLENZIderm M.D. System is the only prescription-strength acne treatment that contains a patented form of 5% benzoyl peroxide (BPO) to penetrate deep into the skin and treat acne where it starts. The CLENZIderm M.D. Systems demonstrate greater penetration than other BPO-based treatments. The solubilised form of 5% BPO in the CLENZIderm M.D. 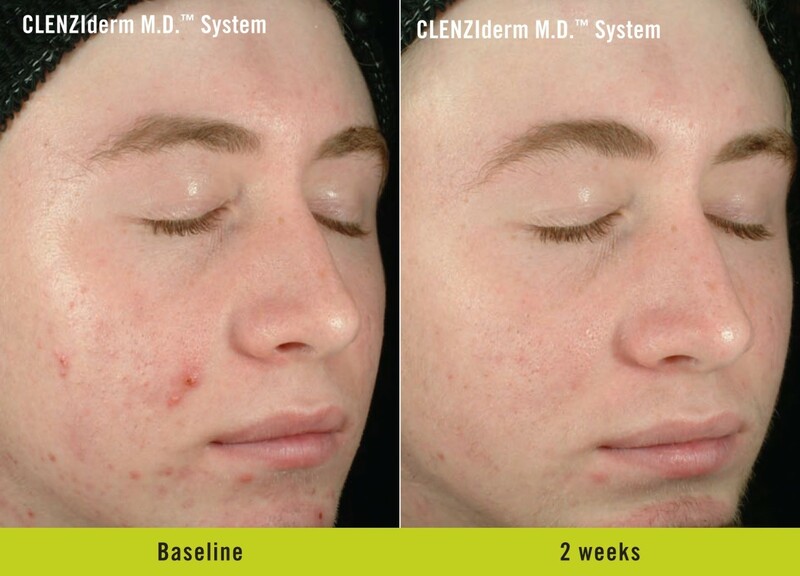 Systems is 1/10,000 the size of any other BPO product available, so it can treat acne where it starts, at the root.